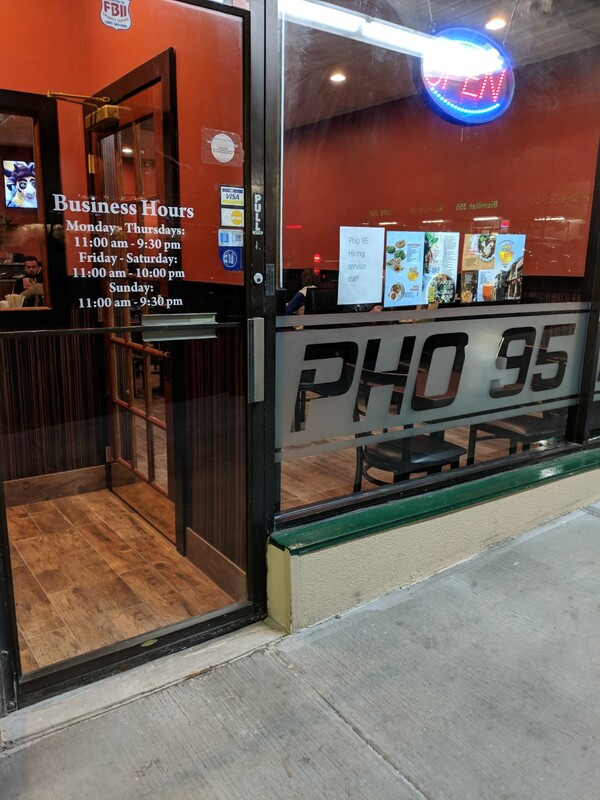 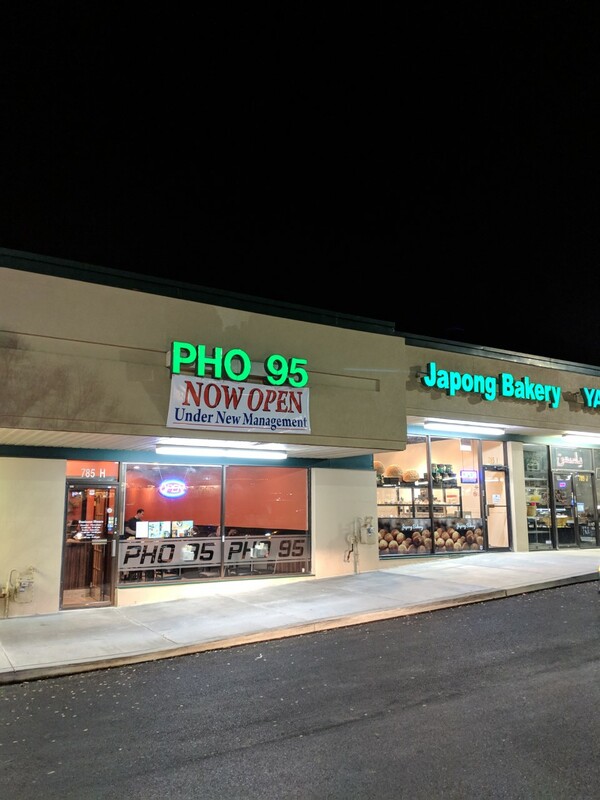 Pho 95 has reopened under new management after a renovation of the restaurant, which is located in the Ritchie Center on Rockville Pike. 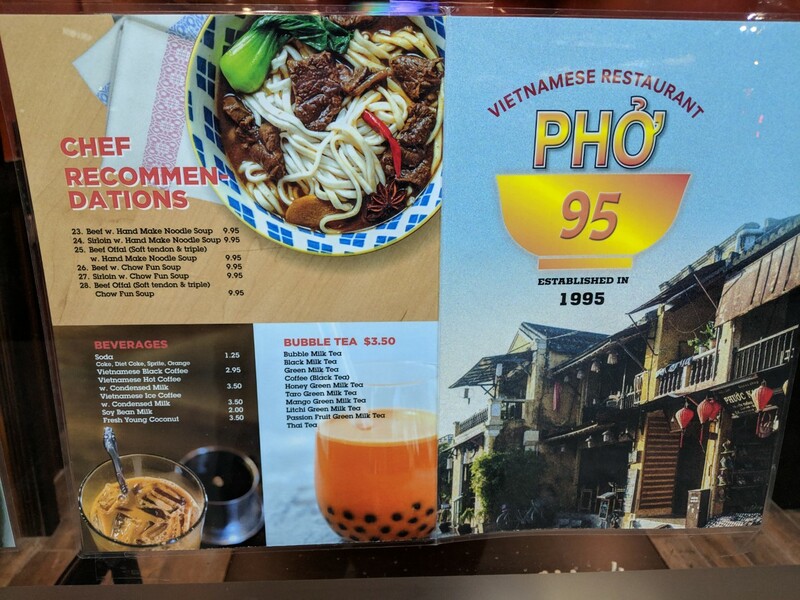 The menu looks good. 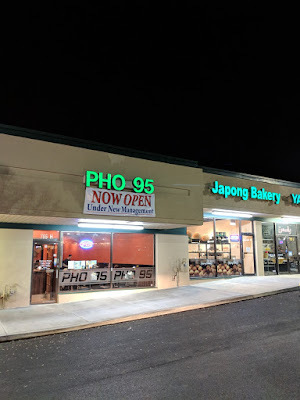 Pho 95 is next to the new Japong Bakery in the shopping center. 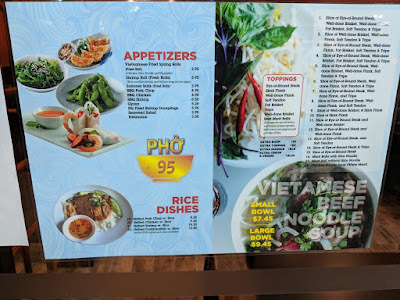 This one shopping center has more good food options than all of Bethesda combined. It's crazy. What, specifically, do you like about the menu?